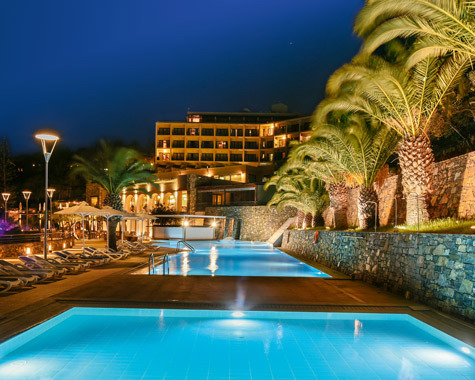 <?<!DOCTYPE HTML> Wyndham Grand Crete Mirabello Bay | Agios Nikolaos hotel, Crete. 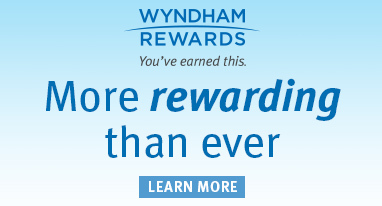 Welcome to Wyndham Grand Crete Mirabello Bay, a splendid retreat in a place of unspoiled beauty. Surrounded by the verdant hillsides of Lassithi and the azure waters of the Cretan Sea, this 5 star Resort is an exceptional place to be. 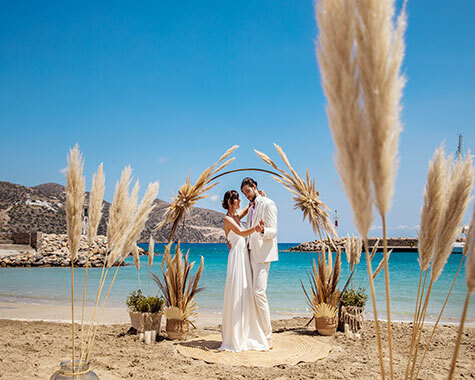 In perfect alignment with the natural environment, Wyndham Grand Crete Mirabello Bay has been designed to promote absolute serenity and bliss. Guests are introduced to genuine Cretan hospitality, staying at one of the 311 guestrooms & bungalows of the property. They have all been built with respect to the surroundings and always with special focus on comfort and luxury. Modern décor, cozy furnishings and refined touches of extravaganza, along with spectacular views to the sea, the gardens or the picturesque town, these are all elements composing the dreams in Agios Nikolaos of Crete. Besides luxurious accommodation, guests are most welcome to set out on gastronomic journeys to the finest destinations. 5 restaurants and 5 bars operate on site, providing thrilling culinary adventures and temptations not to be missed in beautiful settings. 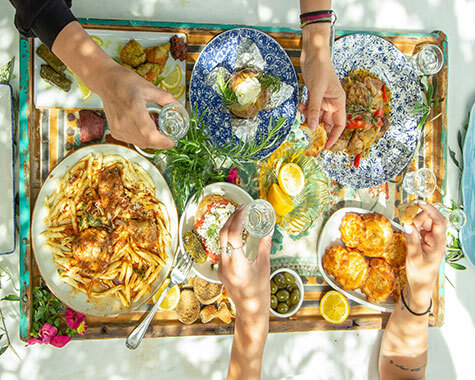 Discover the treasures of Cretan cuisine and taste the Mediterranean in each bite. Choose International flavors in unique combinations, prepared to perfection and served on request and of course, indulge in fruity cocktails and quality drinks with a stunning view and a complete sense of relaxation. Delve in the Spa & Fitness center and find your inner balance. Trust the seasoned hands of our professionals and enjoy soothing massage, body and facial treatments. In a serene environment where senses are awakened, explore the depths of euphoria and feel utterly relaxed and blissful. 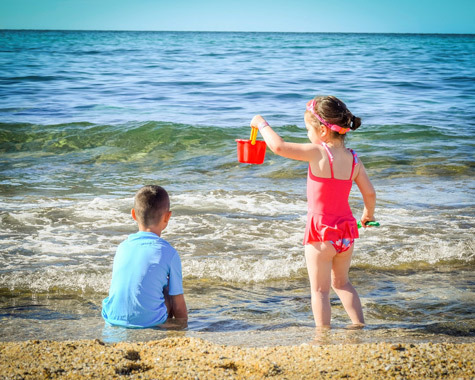 And for those seeking entertainment, head to the beach for water sports and trust your little precious ones to the most wonderful kid’s club. 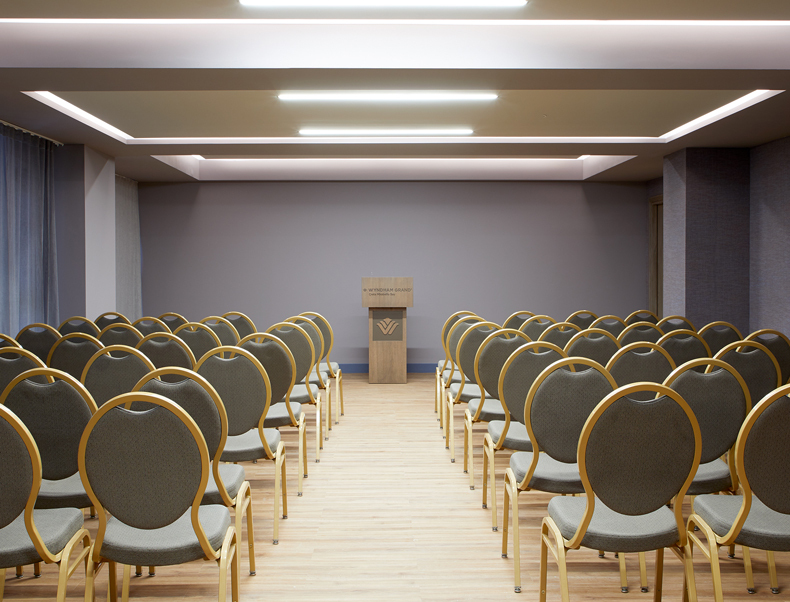 For those in pursuit of the perfect place to host a conference or an impressive event, Wyndham Grand Crete Mirabello Bay offers 12 multi-functional spaces of more than 1000 delegates. State-of-the-art equipment, ample room and top notch service complement the optimal result. Be it a wedding or a party by the pool, a business conference or a congress, the facilities live up to the challenge and guarantee 100% success. 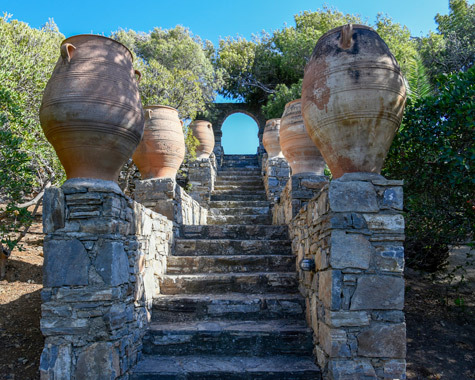 When in Crete, you are bound to enjoy unique experiences in a blessed place of the world. 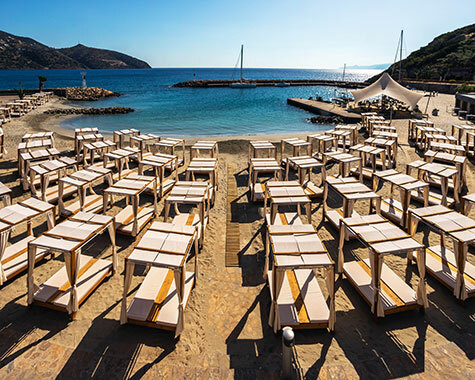 When in Wyndham Grand Crete Mirabello Bay, these experiences will only become lovelier! Join us in the Cretan dream! Take advantage of special holiday offers and rich half-board packages in the most impressive Easter that has it all! Enjoy local & Mediterranean cuisine with signature dishes inspired by the island and created by talented Chefs. Our team of professionals will introduce you to absolute serenity and bliss, through a wide variety of massages, face and body treatments. In an idyllic place where nature unfolds its mysteries, guests stay fit and enjoy each moment surrounded by the island's bliss. Choose the type of wedding reception & personal event you wish and we will help you organize everything to the slightest detail. All rooms have been designed with special focus on luxury and comfort, providing modern amenities in an inspiring environment. In an ethereal environment, you are free to enjoy this special day of your life in the most splendid manner possible. We have created the most suitable, state-of-the-art facilities, through the use of three different venues that cover all needs with a maximum capacity of 1000 delegates. 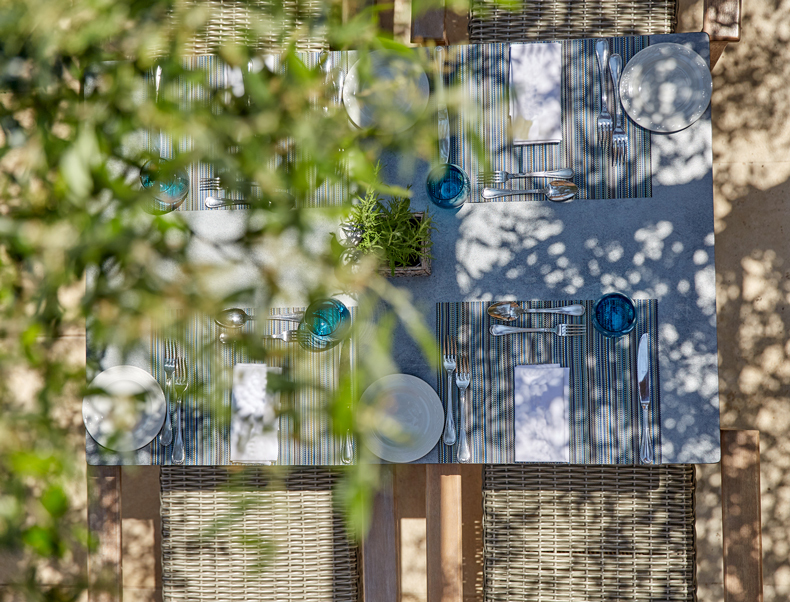 A simply exceptional combination of authentic tastes of the Cretan land with the principles of Italian cuisine in an inspiring environment. 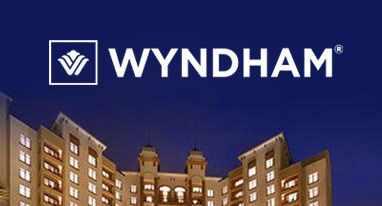 Welcome to Wyndham Grand Crete Mirabello Bay, a splendid retreat in a place of unspoiled beauty. Read our Fact Sheet for more information at a glance!